“I’m an idea guy,” said Sallisaw mayoral candidate Robert “Bob” Jamison, and Jamison has many ideas he would like to help initiate in Sallisaw. 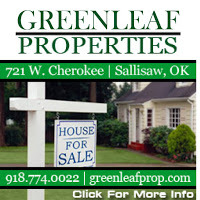 Jamison grew up in Sallisaw and is a 1976 graduate of Sallisaw High School. 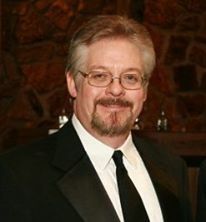 He got his juris doctorate from the University of Tulsa in 1990 and practiced law in Tulsa until moving his practice and himself back to Sallisaw in 2014. Jamison is an active member of the Old Sallisaw High School Association. The association’s members have taken over the grounds of the old Sallisaw High School and revamped the grounds as a park. Jamison said he would like to help foster more of that kind of community spirit. Jamison said that community spirit is included in his three goals for Sallisaw. “I want to get the people behind me,” he said. “I want the people to have community spirit and improve the downtown. -About the proposed splash pad, Jamison said he would like to see it built where planned, on the old middle school grounds and close to the Sequoyah County Boys & Girls Club. “We have to have it,” Jamison said. “I’d prefer it to be at the old school because it would be in conjunction with the Old High School Park. Sallisaw desperately needs a new swimming pool. “And there’s not a whole lot to do in town for adults either,” Jamison said about the often-heard complaint that there is little to do for youngsters. -About the upgrade of the water treatment plant, Jamison said he would have to review the city budget and the money required for the upgrade. 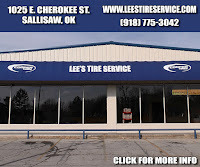 -About helping the Sallisaw Chamber locate to a new building, Jamison said the city should assist the chamber. Current chamber leadership said the building which now houses the chamber has many problems, and with a new U.S. Highway 59 planned, the new highway will take away the chamber’s front-door parking. 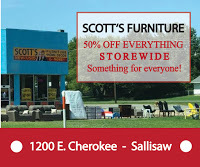 Jamison said he would like to see more tourist attractions in Sallisaw such as concerts. Jamison said he has seen other communities flourish when community residents worked together to promote their community. He would most particularly like to see more voter turnout on Feb. 13.